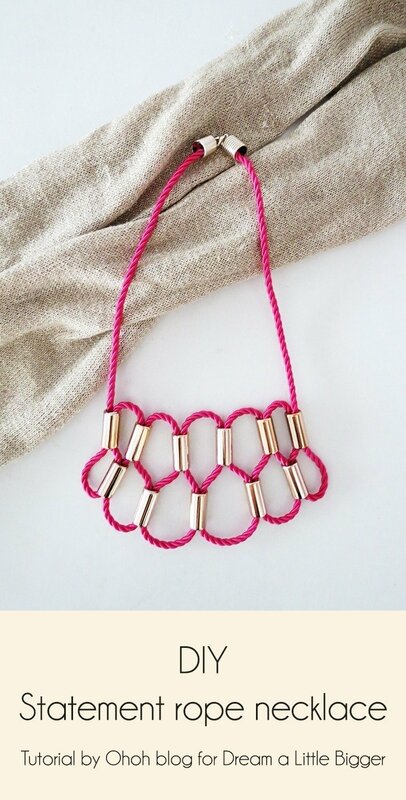 Looking for the perfect accessory to match your summer dresses? 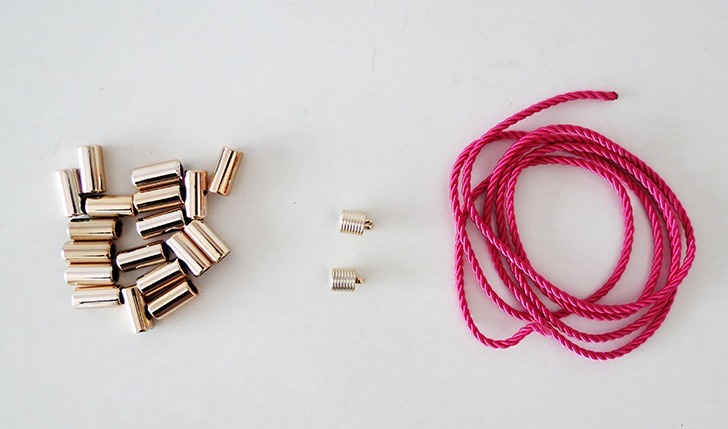 I’ve got an idea for your, make yourself a beautiful rope necklace. It’s simple to achieve and will enhance any outfit. You just need to pick a nice colored rope, some tube beads, two tube caps, and claps. Cut a piece of rope of 3 ft. 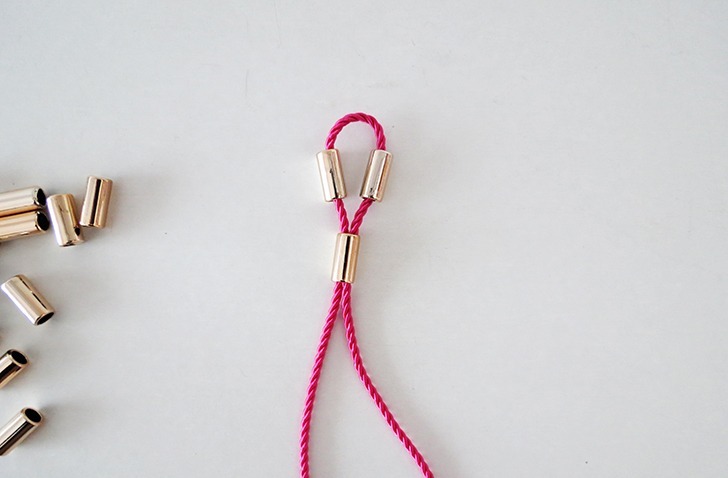 Pass two beads on the rope and fold it in the middle. 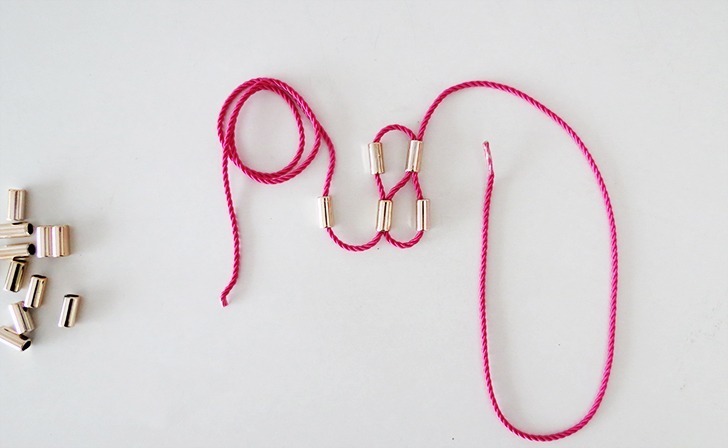 Pass both end in a third beads. 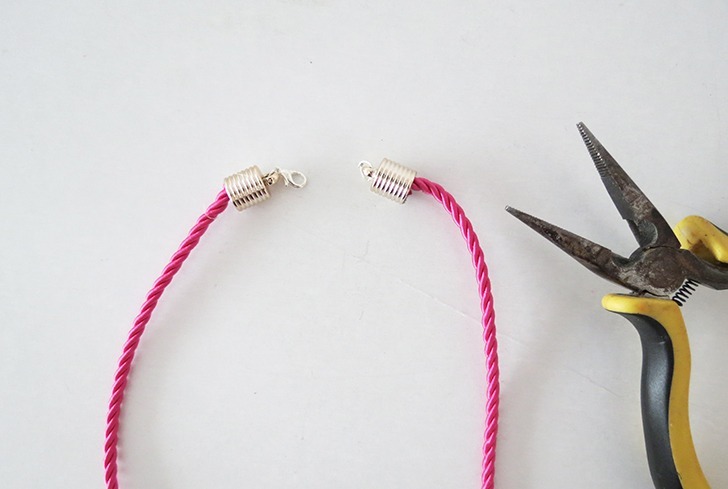 Pass a bead in one end, then make a loop and pass the rope into the bead above. Repeat the same for the other side of the necklace. 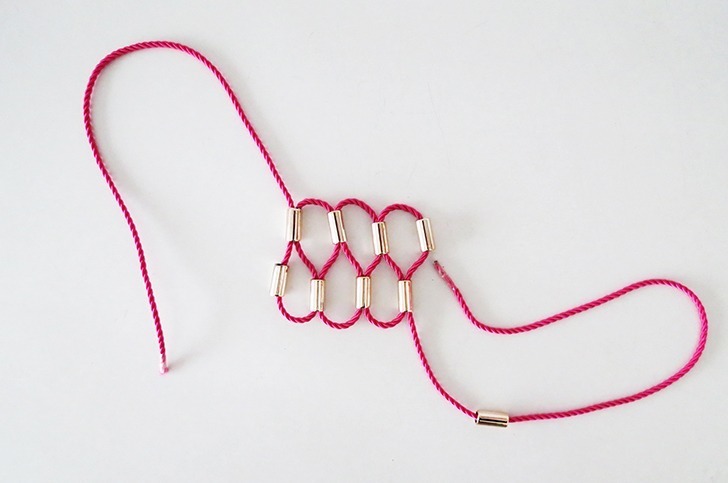 Slide a bead, make a loop and pass the rope into the upper bead. 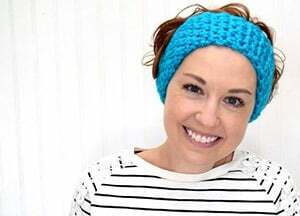 Keep doing the same, once passing the rope in the upper bead, once in the below bead. Until you have 5 loops in the upper row. Try to make loops with the same dimensions. Cut the extra rope lenght and glue a bead cap at each end. I left 6 in. of rope on each side, but I wlill suggest that you adjust the length of the necklace around your neck. 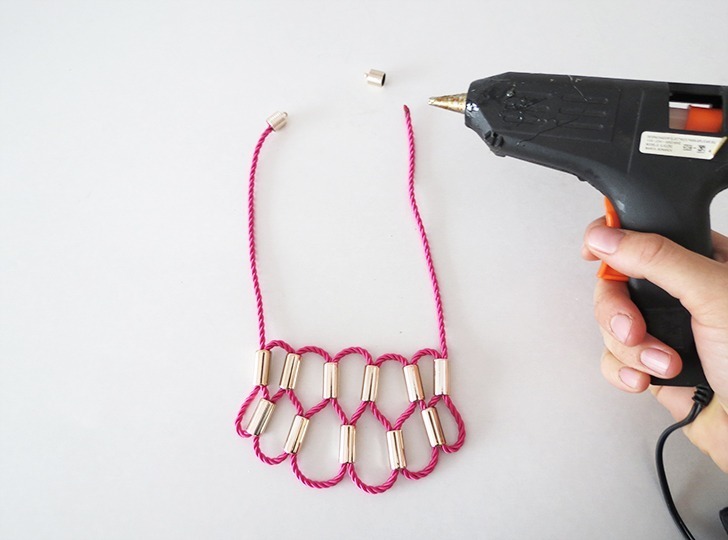 With pliers, put claps and ring to be able to close your necklace. And done! Enjoy your new necklace! 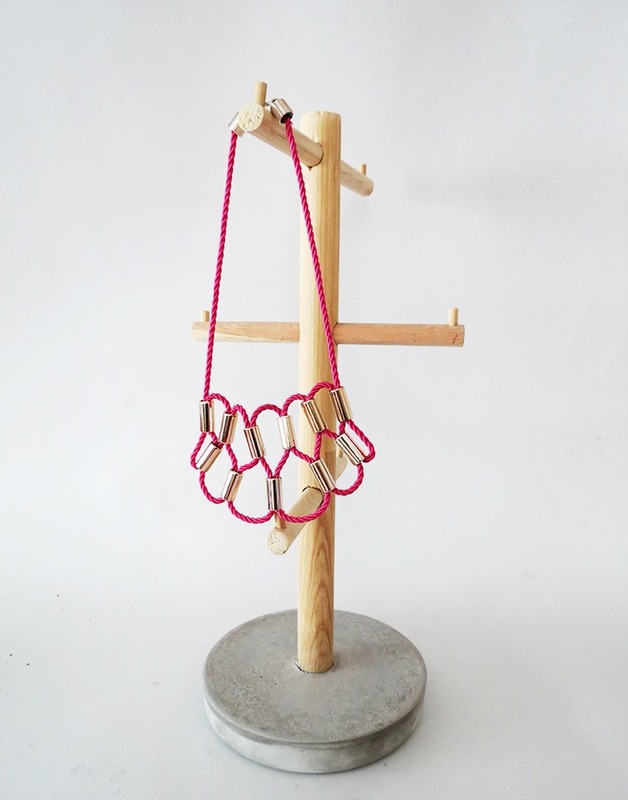 If you are short of idea for Mother’s Day, I think this necklace can make a great present … unless you prefer a pasta necklace! And a little confession to finish; this jewelry holder was actually a DIY cup stand, but I find it more useful to store necklaces.